At the age of 19, at about 13 weeks pregnant, I made the choice to have an abortion. I chose to believe the lies that my child was simply a ‘blob of cells’ and not a human being. And after all – all they do is ‘vacuum’ that blob out – so no worries – right? I chose to believe what I wanted to believe in order to make my choice ‘valid’ in my own heart and mind. I did not search out answers, for if truth be told, I didn’t really want to know if it was a ‘baby’ or not – it made my choice much easier as I reasoned to believe what I chose to believe. Years later I was blessed to have two children who lived, and two who did not. It was during my first pregnancy that I learned the truth that I then sought to learn… my child was not a ‘blob of cells’, but in fact a child, a human being – created by God Almighty – a precious gift of life and love. 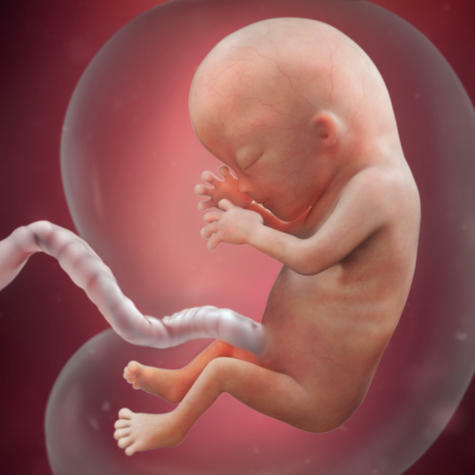 It did not matter how many weeks ‘old’ ‘it’ was in my womb – he/she is a life – period! I became a believer in Jesus Christ about 4 years after my very selfish decision to abort my first child, and therefore know that by the grace of God in His Son, I am forgiven. Yet it has taken many years to forgive myself. For as light is being shone on the truths of abortion and the horrific methods used to perform them, my heart breaks with each new story brought into the light. The words that come to my mind are “God help us”, and “I am so sorry, so very, very sorry”. Tears flood my eyes every time I see the truth being told about what is happening during an abortion. I cannot imagine what really happened to my precious child, but I praise God that the truth is being told! I cry for every unborn child brutally murdered and taken from the sacred womb of its mother to be discarded as though it has no value. I have always wondered (though only God knows for certain) that if perhaps there had been ONE person in my life at that time, ONE who had told me the TRUTH, and showed me that in fact I was NOT carrying a ‘blob of cells’ – that perhaps I would have made a different decision… Yet of course, I kept my secret hidden (for many years! ), so IF there had been one person to tell the truth, I was not going to seek them out. It simply didn’t fit my ‘plan for my life’. My choice did not only affect me and my life, yet it also affected another. For a close friend also became pregnant soon after I had my abortion, and I talked her into having an abortion as well – hers did not go so well and she ended up not being able to have children for the rest of her life along with many health issues as a result of that choice. Neither of us knows what really happened to our children who were aborted, but nevertheless – truth be told, they were murdered in the name of ‘Pro Choice’. Ever since I became a follower of Jesus Christ, I have chosen to attempt to save lives and tell the truth to anyone who would listen regarding abortion. I have spoken to many young women who were pregnant and were considering an abortion, telling them the truth about the life they carry inside them, in order to hopefully convince them to make a different choice. Some have listened – some have not. Each one who listened and made the choice to have their child, has been grateful for the son/daughter they chose not to abort, and cannot imagine their lives without them. Unfortunately – I can imagine my life without mine – the one I chose to abort and the two who did not live to be born naturally. There is no ‘earning grace’ it is a free gift given by God in His Son Jesus Christ. I cannot ‘pay penance’ by attempting to save lives in order to ‘pay back’ for the life I chose to have taken. That is not my purpose in writing this, nor why I tell young women the truth. For I know without a doubt that one day I will see my child – the child I chose to pay someone to murder (and unknown to me, to torture). I will by God’s grace and mercy be allowed to live in eternity with that child and my other children. Yet I cannot even begin to tell you the gut wrenching agony deep in my spirit every time I hear of another video of truth being exposed – another truth of what really happens inside those abortion clinics – another truth regarding brutal torture as hearts beat and body parts are torn from a living baby and/or ‘harvested’ for other purposes – another truth of life being disregarded and a precious baby having no voice. I cry rivers of tears as I think of my two living sons, and the ‘what ifs’ had I made that same choice to end their lives. Dear God in Heaven – help us!